Engraved on back. "Ralo Gardens Katisha of Floradora"
Acquisition Purchased by John Smithson for The Harrison Weir Collection, December 2014. 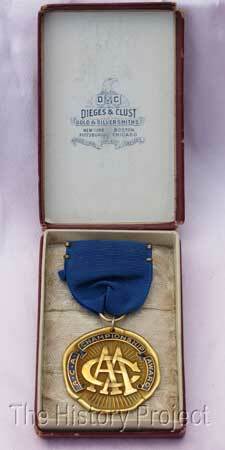 One of the aims of 'The History Project', is to exhibit in digital format, items of interest, or ephemera, related to cats and cat shows, including but not limited to, examples of competitive awards such as trophies, cups, medals, certificates, and ribbons or rosettes that belong to a specific period or feline Association. This may also include show passes, flyers, catalogues and/or club booklets or magazines. This aim is mirrored by both The CFA Foundation's Feline Historical Museum and The Harrison Weir Collection, which both house a number of fine examples of all of the above. 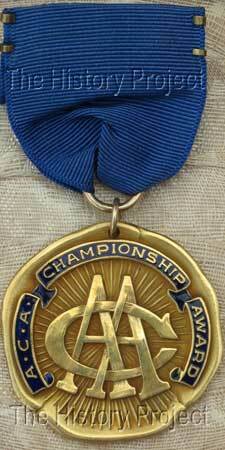 This very handsomely crafted medal, was awarded to those cats which achieved Championship status in the American Cat Association (ACA), during what appears to be the 1930's to 1940's. As to when it came into circulation, or for how long it was in use, is, at the time of writing, unclear. 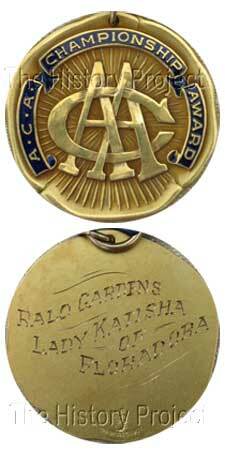 This particular medal was awarded to a Persian female, named 'Ralo Gardens Lady Katisha of Floradora' and the obverse side of the medal is duly engraved with her name on it, shown here. Registration details for 'Lady Katisha' are sketchy at best, but we have found records of her ACA registration, number 12320, and documentation that she was a Tortoiseshell. A black Persian male out of 'Lady Katisha', named 'Floradora Midnight' was also the sire of 'Floradora Katisha', a Tortie Persian grand-daughter, that had been clearly named after her. The 'Floradora' cattery is registered to Mrs. Flora E. Sutherland of Detroit, Michigan. The medal has been beautifully preserved in its original state and was purchased in late 2014 as an addition to The Harrison Weir Collection.